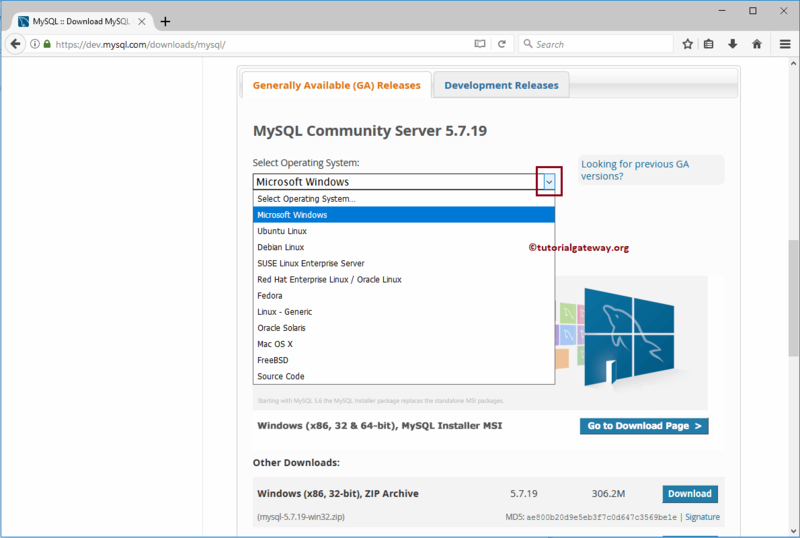 In this article we will show you, From where or How to download MySQL Server with screenshots. 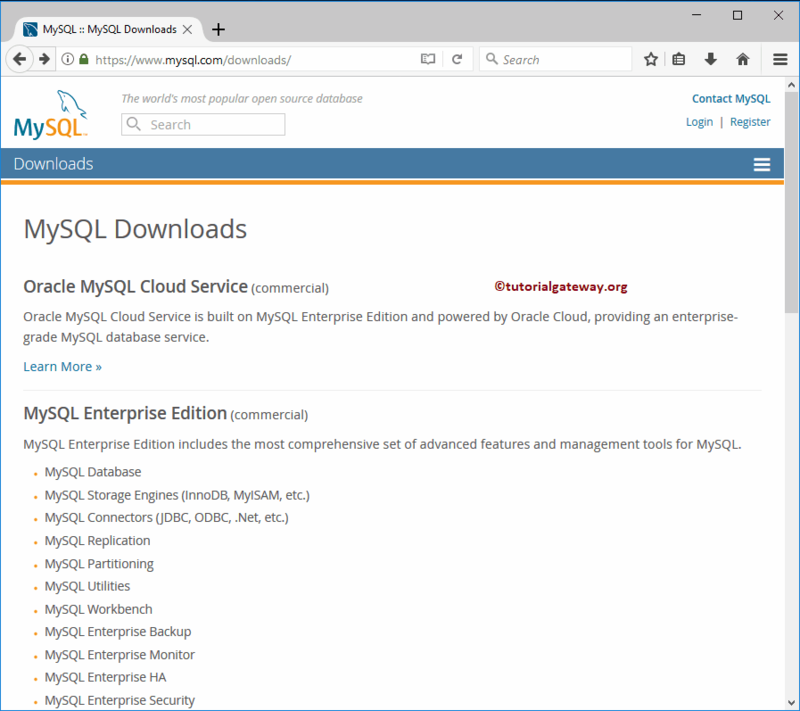 Following are the steps involved in MySQL download. 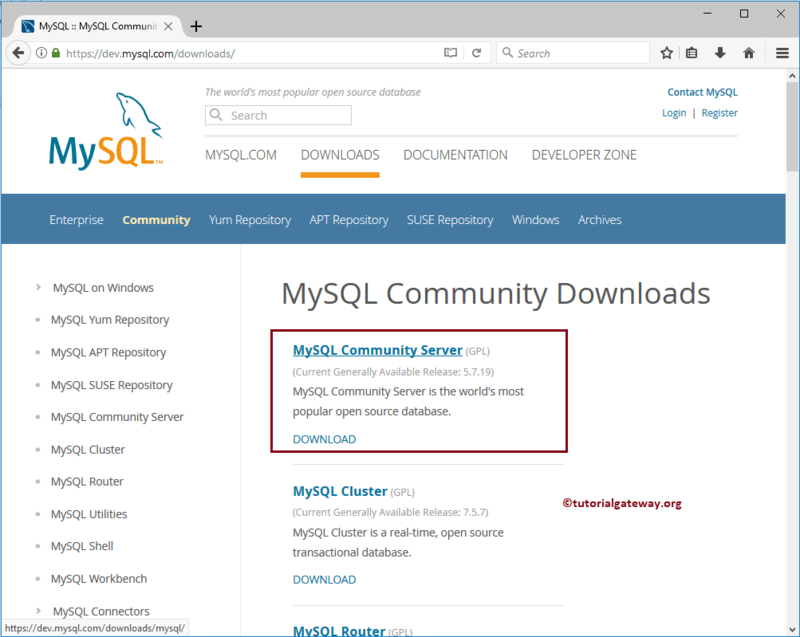 In order to download MySQL Server, first Go to the MySQL website by clicking this link Download. Next, If you or your organization had Enterprise Edition licence then download the enterprise edition. 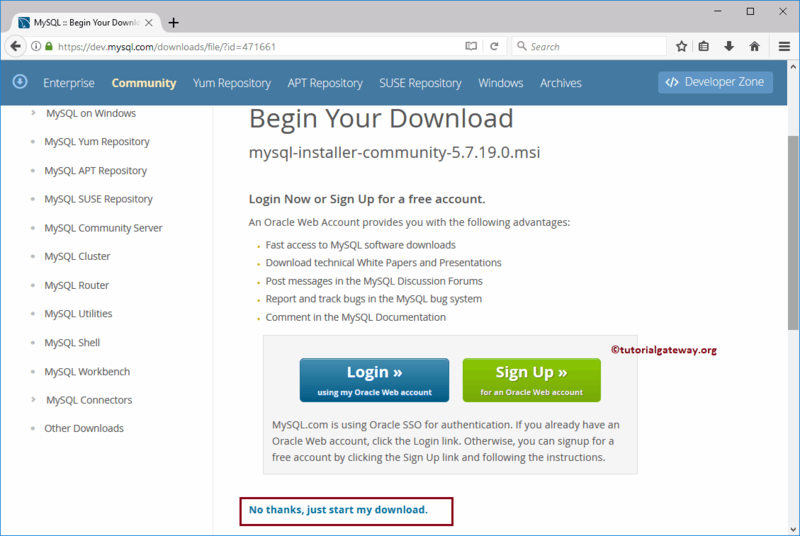 This will ask you for the Oracle sigh in credentials, and then you have to download it. 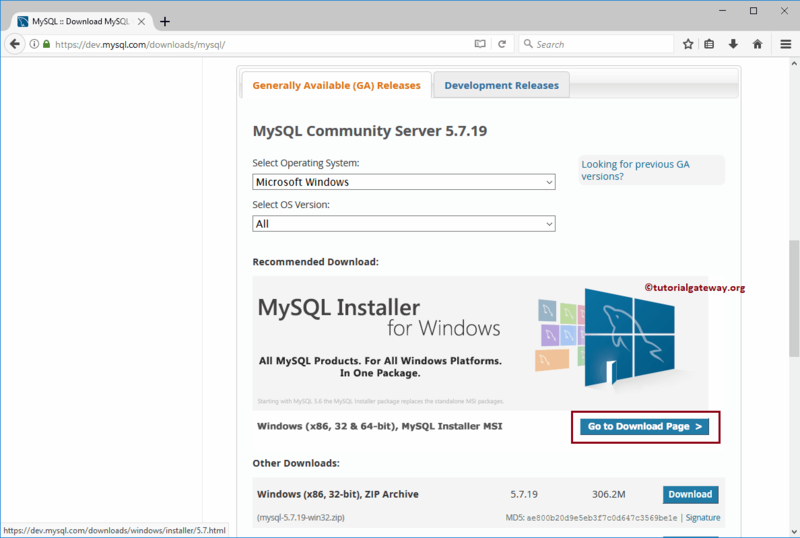 In this case, we are downloading MySQL Community Edition because it is free. 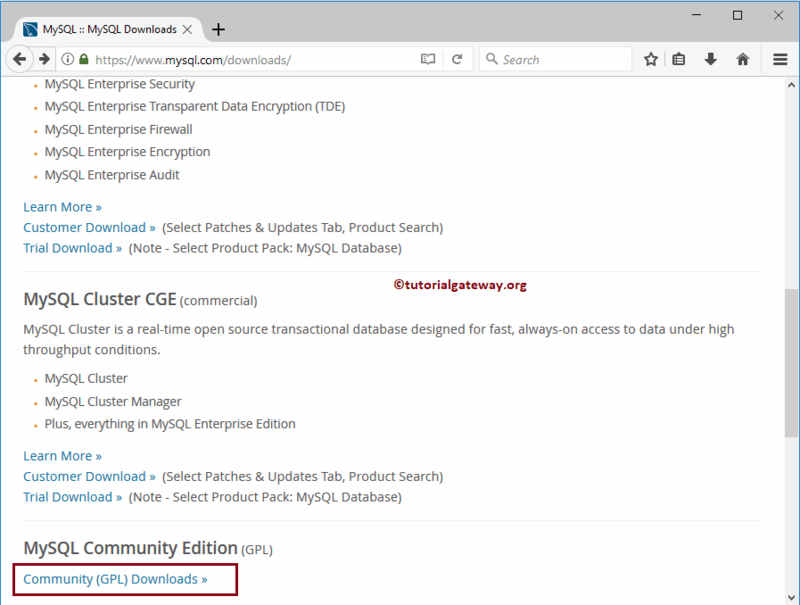 Please click on the Community (GPL) Downloads hyperlink. 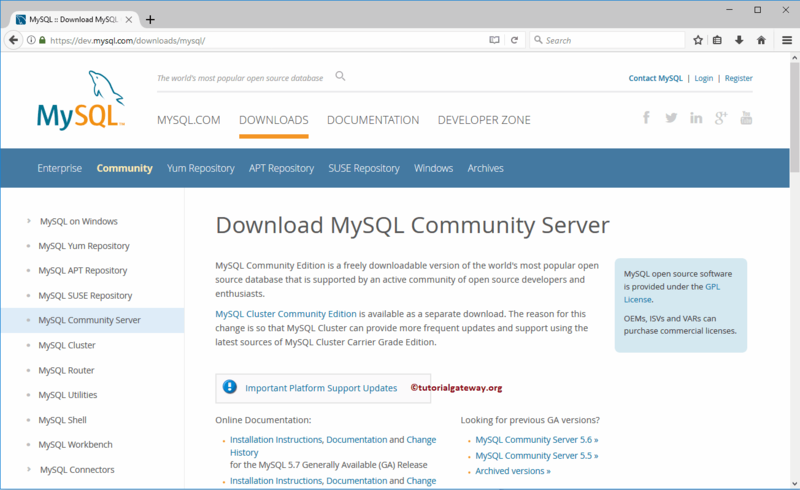 Within the next page, please select the MySQL Community Server. Scroll down a bit to see below screenshot. You can use the Drop down box to select the Operating system. For now, we are selecting All (both 32-bit, or 62-bit). Next, click on the Go to Download Page button as we shown below. 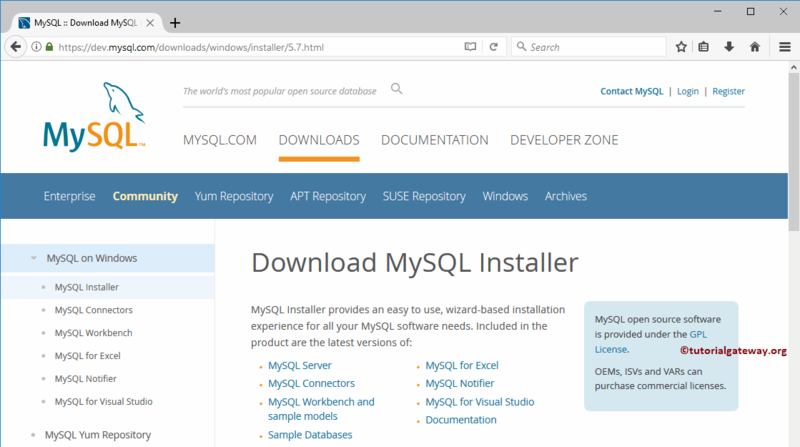 This will download basic installer, and then use the internet to download the required files while you start installing the MySQL Server. 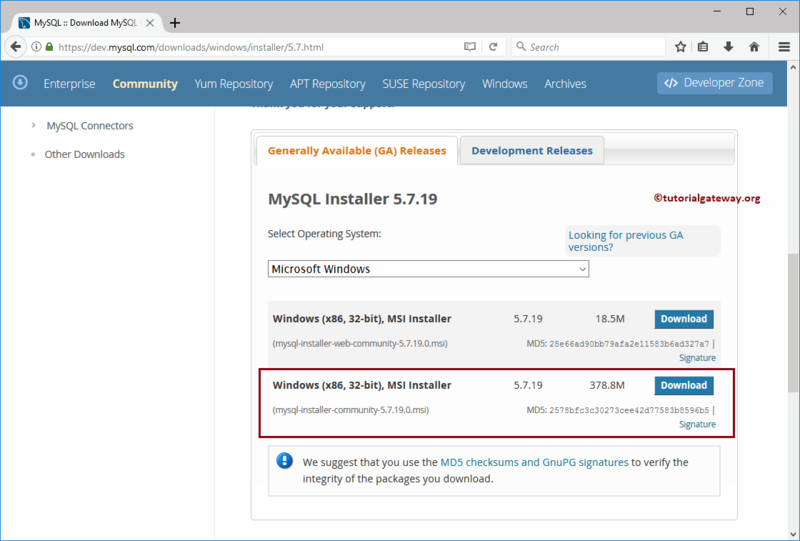 It will ask you, whether you want to save the msi file or not. Click Save File button.